Essex Hemphill was born on April 16, 1957 (to November 4, 1995). He was an influential poet, award-winning editor, memorable performance artist, and fearless activist. Essex Charles Hemphill was one of five children born to Mantalene Clark Hemphill and Warren A. Hemphill, Sr. He began his life in Chicago, Illinois, but grew up in southeast Washington, DC, where he began writing at age 14. Hemphill studied English at the University of Maryland, but decided to complete his degree at the University of the District of Columbia. With another student from the University of Maryland, Hemphill founded the “Nethula Journal of Contemporary Literature” in 1978, and ran the magazine for several years before leaving to devote more time to writing and presenting his work. Hemphill believed that poetry should be heard, and he regularly performed his work, often in collaboration with other DC-based Black lesbian and gay artists. In 1983, he teamed up with Wayson Jones and Larry Duckette to create Cinque, a performance poetry group that combined cutting-edge political verse, vivid imagery about Black gay life, and tightly woven harmonies. Cinque first performed at the Enik Alley Coffeehouse in northeast Washington, and quickly developed a loyal local following. Its poetic style gained national attention after the group’s work was featured in Marlon Riggs’ widely acclaimed films “Tongues Untied” (1991) and “Black Is…Black Ain’t” (1994). Hemphill’s poetry was also included in Isaac Julien’s award-winning film, “Looking for Langston” (1989). 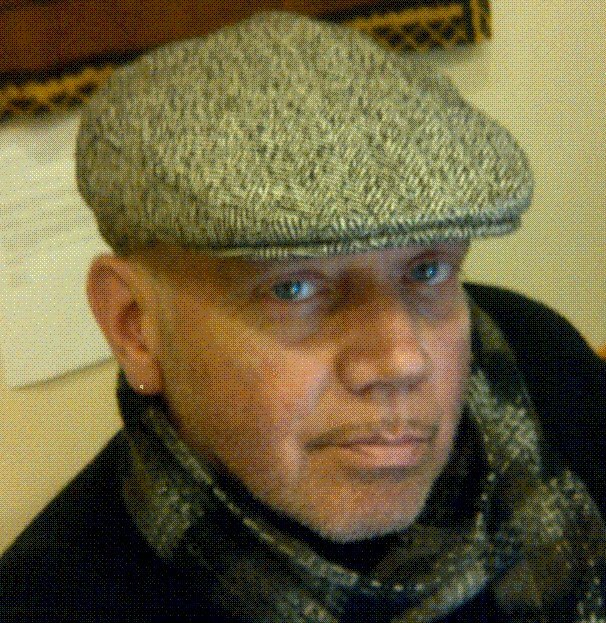 With few publishers at the time interested in the work of openly gay Black writers, Hemphill self-published his first two poetry collections, “Earth Life” (1985) and “Conditions” (1986). He became more widely known when he contributed to Joseph Beam’s groundbreaking “In the Life: A Black Gay Anthology” (1986). Inclusion in anthologies, such as “Tongues Untied” (1987), “Gay and Lesbian Poetry in Our Time” (1988), “The Poet Upstairs: Natives, Tourists and Other Mysteries”, “Art Against Apartheid” (1988), “The Road Before Us” (1991), and “Hometowns” (1991), increased his renown. Hemphill’s work also appeared in “Obsidian,” “Black Scholar,” “Callaloo,” “Painted Bride Quarterly,” “Gay Community News,” “The James White Review,” “High Performance,” “Gay Community News,” “RFD Magazine,” “The Advocate,” “Pyramid Periodical,” “Essence,” and many other publications. Producers included Hemphill in the “Culture Wars” episode of “The Question of Equality,” a four-part television series on PBS. Hemphill performed readings, and lectured at Harvard University, the University of Pennsylvania, the Massachusetts Institute of Technology, the University of California at Los Angeles, the Folger Shakespeare Library, The National Black Arts Festival at the Whitney Museum, and many other institutions. He was recognized with the Lambda Literary Award for Excellence, four grants from the District of Columbia Commission for the Arts and Humanities, and a National Endowment for the Arts Fellowship in Poetry. In 1993, Hemphill was a visiting scholar at The Getty Center for the History of Art and the Humanities in Santa Monica. He was a 1993 Pew Fellowships in the Arts recipient. As Hemphill writes in “When My Brother Fell,” after his close friend Joseph Beam died from AIDS in 1988, Hemphill “picked up his weapons.” At the time of his death, Beam had been working on a follow-up collection to “In the Life” entitled “Brother to Brother: New Writings by Black Gay Men.” Hemphill moved to Philadelphia, where he lived with the Beam family, to complete the anthology. Published in 1991, “Brother to Brother” won a Lambda Literary Award, and garnered widespread critical acclaim. The following year, Hemphill’s “Ceremonies: Prose and Poetry” was published by a major press, and won the American Library Association’s Gay and Lesbian Book Award in Literature. The poems and essays in “Ceremonies” provide powerful insights into the constructions of race, gender, and sexuality in the United States. Among the topics addressed include the sexual objectification of Black men in white gay culture, relationships among Black gay men and with non-gay Black men, HIV/AIDS in the Black community, and meanings of family. Despite a relatively short literary career, Hemphill became arguably the most critically acclaimed and best known openly gay contemporary African American poet. The impact of his empowering words cannot be overstated. Through his writing and editing, Hemphill helped break the silence surrounding Black gay experiences, and enabled other Black gay men to find their voices. Hemphill died from AIDS-related complications on November 4, 1995 at University of Pennsylvania Hospital in Philadelphia, Pennsylvania. He was 38 years old. We remember Essex Hemphill, and pause to recognize his profound words and inspiring advocacy in support of our community.